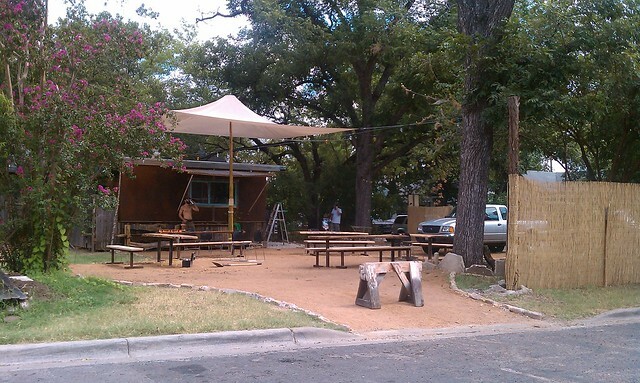 Soft opening this week, Cazamance, is an outdoor African fusion concept opening in the Rainey Street District. 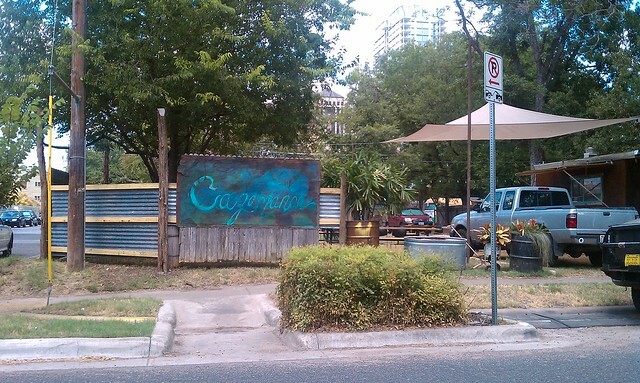 Located on the northwest corner of Davis @ Rainey, and directly across from Clive Bar. This takes the place of where Container Bar was planned to go. Iba Thian, a famliar face at Clive Bar, is spearheading the project in cooperation with Bridget Dunlap and Scranton Twohey. You should be able to stop by tomorrow to pick up a menu and try it out. Just remember this only their soft opening. Along with El Naranjo and G’raj Mahal, Rainey Street is starting to become a respectable destination for authentic cultural cuisine… al fresco style. Two renderings of the Starr Building, re purposed to include a parking structure at 5th and Colorado. A while back we showed you the history of this building before it was purchased by Kemp Properties. Not much newsworthy here, but this is the first time I’ve seen the renderings. At least the parking structure has retail underneath! When you’re done with the open houses, you can enjoy an afternoon on Lady Bird Lake by renting a canoe or kayak from at the Texas Rowing Center. Or, dine al fresco at Annie’s Cafe on Congress Ave for breakfast, lunch, or dinner. Make sure to checkout my transaction report from July and discuss with a Realtor who lives and works in downtown Austin. The Rainey Street District is showing signs of maturation as stakeholders are coping with the growing pains that come with such rapid growth. On August 19th, Bridget Dunlap, owner of the thriving Lustre Pearl bar, was approved for an Outdoor Music Venue permit (OMV). The OMV permit (new window), expressly for “winter months,” allows the venue to host amplified music. Rainey Street proper is zoned CBD, a flexible zoning definition that enables a multitude of uses for properties. Little of the street’s CBD density entitlements are being used, as they are sitting idle waiting for big capital to return. The district is currently dominated by bungalow homes, and flanked by mid- and high-rise residential condos. It was late 2008, early 2009, when Lustre Pearl became the first bar to open on Rainey Street. With smart design that preserved much of the historic bungalow aesthetic, Lustre Pearl seems to have set the trajectory for Rainey Street development over the next few years. Clive Bar, G’raj Mahal, El Naranjo, are all thriving in addition to three more bars under construction. According to Lustre Pearl’s General Manager, Scranton Twohey, Lustre Pearl is shifting to become more of a music-centric destination. Dunlap and Twohey operate four venues: Lustre Pearl, Clive Bar, “96” (upcoming sports bar theme across from Lustre Pearl), and an upcoming outdoor/mobile concept on the corner of Rainey St and Davis St (where Container Bar was planned). What is it about Rainey Street? Nearly 1,000 residences anchored by Rainey Street. Big capital dried up, so no more big CBD projects for the next few years. Mr. Twohey made assurances to DANA’s Public Policy Committee about limiting the genres of music, hiring a sound mitigation consultant, and withholding applications for his company’s three other venues. Despite those assurances, DANA and Rainey Street residents remained concerned that approving this Outdoor Music Venue permit will encourage more bars into the district, and those bars will also pursue Outdoor Music Venue permits. The cost to apply for an Outdoor Music Venue permit is $50.